Probably one of the coolest notches to get on your inshore fishing belt is taking on the greatest hunter the flats has to offer. Tampa Bay Shark Fishing is guaranteed to get your heart pounding and offer some excellent battles on light to medium tackle, or even on the fly! 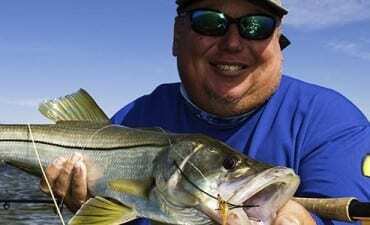 When feeding, many species can be found pushing waters in the skinniest of Tampa Bay flats. When presented with a well placed bait, the smash before the hook up is second to none. Once hooked up hold on! You can expect to test that drag system screaming in your hands to its fullest. With rod bending tugs and a true test of the leader set up, landing sharks takes some work. Often stalling to take a break, the always unexpected “Round 2” often takes place and off you go again. In Tampa Bay, winter flats fishing is cranked up by the readily available shark population in the skinniest of waters. Often taking dead cut bait (even including frozen squid) shark fishing is a prominent staple of sport fishing in the area. Though, live bait will bring them in, sometimes getting the chase to happen can take some time. However, an active feeder will gladly take on your live or dead presentation, they will also turn on several types of artificial baits that come along their path. This even includes the somewhat more elusive top water shark hook up. Finding sharks in the flats is fairly simple. Sight fished by seeking solid pushes, that famous dorsal fin, and the calm swooping of the tail are all dead giveaways. In deeper water, you may have to accept some blind fishing tactics a laid out dead bait will generally bring them in. Live pinfish also work in both circumstances, and increase your chance of finding other popular species during the outing. All in all, shark fishing in Tampa is just plain fun. Small shark are comparable to large Snook and Redfish fights, so those targeted in shallow waters can be brought in on light tackle. Even 8-10wt fly fishing rods are more than adequate for these species in this scenario.